Rejoice Always, Pray Continually, And Give Thanks. Thanksgiving Day is a day that our government has set aside as a national holiday and a day of thanks. 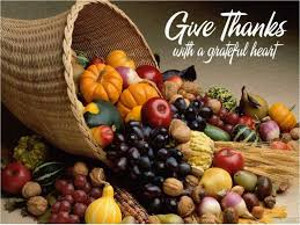 But, as Christians, everyday should be a day of thanksgiving to God (and others)! Obeying these three commands often goes against our natural inclinations. CONTINUE READING: Rejoice Always, Pray Continually, And Give Thanks.